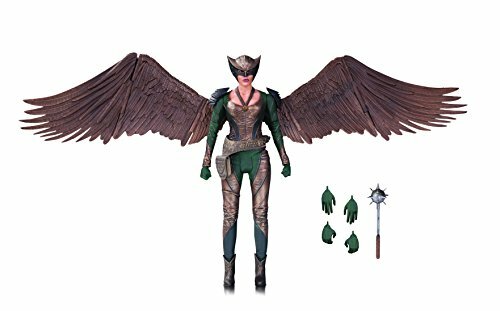 Hawk girl, the reborn winged hero, soars here with this 6.75" intricately Crafted action figure from DC Collectibles. 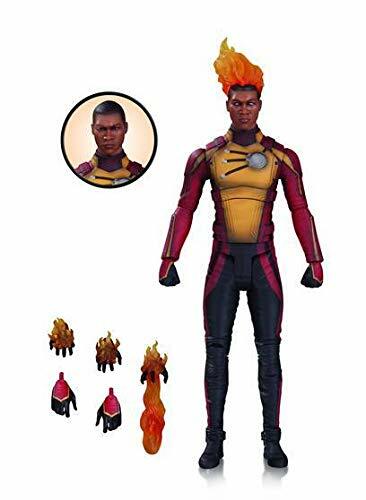 With dozens of points of articulation, interchangeable hands and Mace accessories, the legend of tomorrow also known as Kendra Saunders is a fantastic addition to the collection of heroes and villains from the popular arrow, the flash and dc's Legends of tomorrow television universes. On both arrow and Legends of tomorrow, this little sister is making a big splash as a Crossover character. White Canary is sculpted in the likeness of capacity lots and comes with her signature staff. The atom, Star of the TV series dc's Legends of tomorrow, is brought to life with this supremely detailed 6.75" action figure from DC Collectibles. The high-tech hero comes with dozens of points of articulation, interchangeable hands and energy blast accessories! bring the heroes and villains from the popular arrow, the flash and dc's Legends of tomorrow television universes out of the small screen and into your home with these intricately designed action figures!.